A few years ago I would have thought it as unlikely that I'd be enjoying space-centered DC Comics titles as I would enjoying a magic-centered title, an accomplishment I attribute to DC's careful roll-out of Rann-Thanagar War and Day of Vengeance around Infinite Crisis. Day of Vengeance, of course, grew into the ultra-accessible Shadowpact, which ends on the highest of notes with Shadowpact: The Burning Age. Bill Willingham portrayed the disparate teammates of the Shadowpact as such fun characters that I enjoyed every issue, even when his writing didn't quite mesh for me. In Burning Age, however, writer Matt Sturges both preseves Willigham's tone, betters the pacing, and adds a healthy dose of humor that raises the story to near-perfection; I'd have gladly read another Shadowpact collection from Sturges. My favorite Shadowpact character all along has been Blue Devil (sorry, Detective Chimp! ), and Sturges seems to understand Shadowpact-leader Nightmaster's previous claim that Blue Devil is the heart of the team. In The Burning Age's grand finale, as Shadowpacts from three eras come together to fight the armageddon-level threat of the Sun King, Sturges parallels this with the simple fight between Blue Devil and his brother for the soul of his family, offering a touch of humanity (and 1980s Blue Devil nostalgia) amid all the chaos. Sturges' story is filled with little touches like these. He resurrects, for instance, the nascent romance between Ragman and Nightshade that we saw just briefly in Day of Vengeance before it disappeared. Similarly, even as Sturges didn't present much to really define the characters of the past and future Shadowpacts, he offered a quick scene that hinted at the Warlock's Daughter's role in a future Shadowpact that made the time-lost characters come alive. I also appreciated Sturges' use of Phantom Stranger, who's hidden in the background of this title since the beginning and whose speech at the end really tied together all the issues of the series. And while I might have enjoyed seeing the complete Shadowpact, including the absent Nightmaster in the final pages, I thought Nightmaster's resignation from the Shadowpact in the first half of the book gave the final chapters a greater sense of the Shadowpact coming into its own. 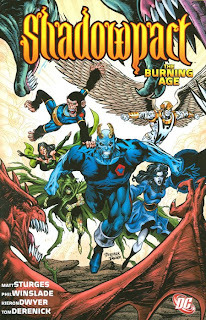 I'm surprised at how sorry I am to see Shadowpact go, though I'm happy that some of the characters will appear in Keith Giffen's forthcoming Reign in Hell. As with Jim Starlin's cosmic tales, it may be that DC has more success with the magic heroes in a series of connected specials, rather than an ongoing series. In terms of trade reading, there isn't much difference between a miniseries and an ongoing title (there may even be some benefit), and if more Shadowpact is what comes out of it, I'm all for it. You voted, and Uncle Sam and the Freedom Fighters: Brave New World was the review you wanted to see next. Coming up; stay tuned! 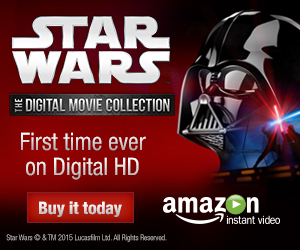 Ah man, I didn't know the title was canceled! Damn! Great review as always. Cancelled, yeah, sorry to break the bad news. Fortunately Matt Sturges takes Shadowpact out on a high note, and then there's Reign in Hell.